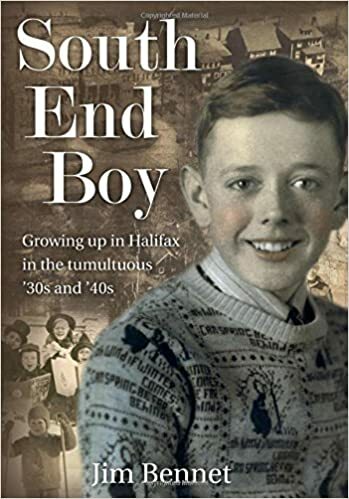 In this memoir Jim Bennet introduces us to Halifax of the 1930s and '40s: one full of coal smoke and rival gangs, chuffing freight trains and pine tar soap. He takes the reader along with him ''down the bank'' and off to adventures all over the city's south end and beyond, offering a glimpse of childhood where a young boy had free rein far beyond his backyard. For Jim and his neighbours, the playground was the seashore, the tracks, the ponds and parks, the tramcars, the Commons, the Citadel, and more. Through his eyes, we see the impact caused by the Second World War on daily family life. Jim Bennet's recall of the details of ordinary life -- seen from the perspective of a boy growing up into his teens -- and his gift for storytelling are evident in this enjoyable book. It will bring memories flooding back for some readers; for others, it offers a window into adolescence at a time when the world was rapidly changing.